Ann Augusta Prescott married Austin Wing Houghton, son of Paul Houghton and Eunice Potter, in circa 1854 mar 46 years in 1900 census. Etta Frances Houghton married Myles Standish Gilman. Benjamin Romeo Houghton married Sarah E. Marcy. Julia Alvira Houghton married Willie H. Norris in Apr 4, 1885 at Jericho, VT, USA. Willie H. Norris married Julia Alvira Houghton, daughter of Benjamin Romeo Houghton and Sarah E. Marcy, in Apr 4, 1885 at Jericho, VT, USA. Calista C. Bolster married Benjamin B. Houghton, son of Eleazer Houghton and Abigail Gibson, in Apr 2, 1850 at Londonderry, Windham Co., VT, USA. 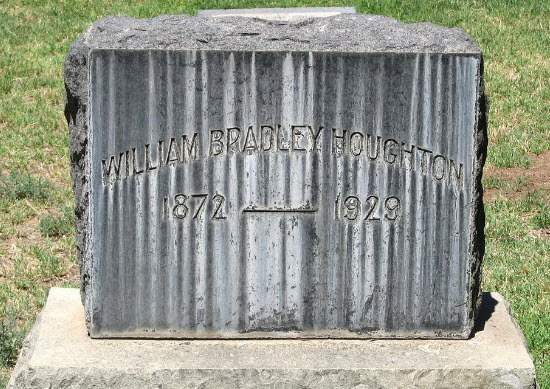 William Bradley Houghton married Florence Annie Bull in Apr 4, 1904 mar 6 y in 1910 census. Charles Luther Houghton married Louisa Eva Thomas. Charles Luther Houghton married Florence Annie Bull in Aug 4, 1930. Carlton Jonathan Houghton married Emma J. Clark in Jun 30, 1892 at Sutton, VT, USA, he age 24. Emma J. Clark married Carlton Jonathan Houghton, son of Jonathan Houghton Jr and Emeline W. Hosmer, in Jun 30, 1892 at Sutton, VT, USA, he age 24. 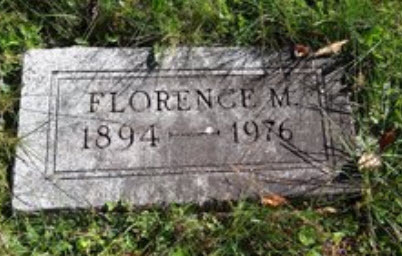 Florence Houghton married Floyd Marshall Higgins in Dec 25, 1915 at St. Johnsbury, Caledonia Co., VT, USA, age 21. Mildred Emma Houghton married Adelbert Simeon Smith in Jul 14, 1924 at St. Johnsbury, Caledonia Co., VT, USA. Eastman Carroll Houghton married Mabel Katherine Smith in Jan 3, 1918 at Cabot, Washington Co., VT, USA. Sophia M. Wilcox married Charles F. Houghton, son of William Paxton Houghton and Olive Adams, in circa 1847 mar 63 y in 1910 census. Jerome Alfred Houghton married Anna L. Mahan in Jan 8, 1893 at Hinesburgh, VT, USA, he age 36. Marriage Oct 11, 1898 Stamford, VT, USA, age 40, 1st mar. Charles Douglas Houghton married Marie A. Paradise in Oct 11, 1898 at Stamford, VT, USA, age 40, 1st mar. Marie A. Paradise married Charles Douglas Houghton, son of James Royal Houghton and Lestina Maria Hicks, in Oct 11, 1898 at Stamford, VT, USA, age 40, 1st mar. Minerva Sarah Angell married Daniel Houghton Jr., son of Daniel Houghton and Cynthia Welton, in Sep 29, 1859 at Montpelier, Washington Co., VT, USA. Louisa Beard married Davis R. Houghton, son of Col. Artemas Houghton and Mary Goodrich, in Mar 8, 1850 at Orange, Orange Co., VT, USA. 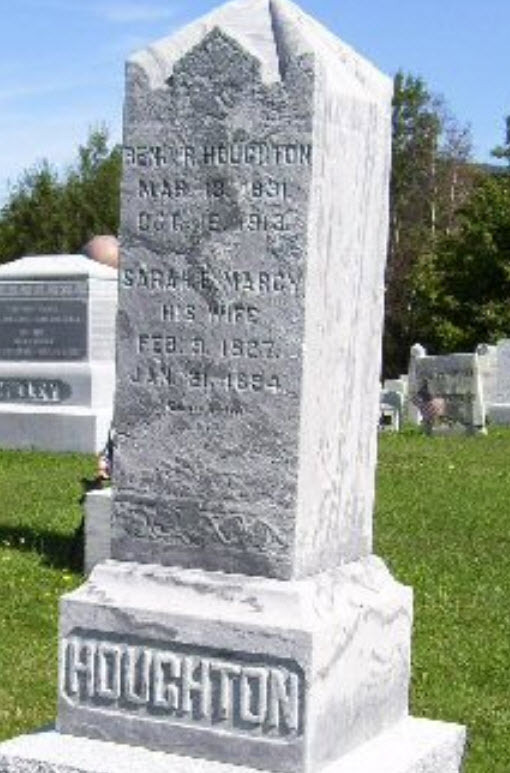 Edgar K. Houghton married Flora Waterman in Dec 11, 1884 at Barre, Washington Co., VT, USA, he age 26, she age 25. Devere Vining Houghton married Anna F. Hunt in Dec 25, 1895 at Manchester, VT, USA, age 26, a miller. Devere Vining Houghton married Mary Jane Powers in Feb 18, 1930 at Londonderry, VT, USA, to Mary Jane Thomas. 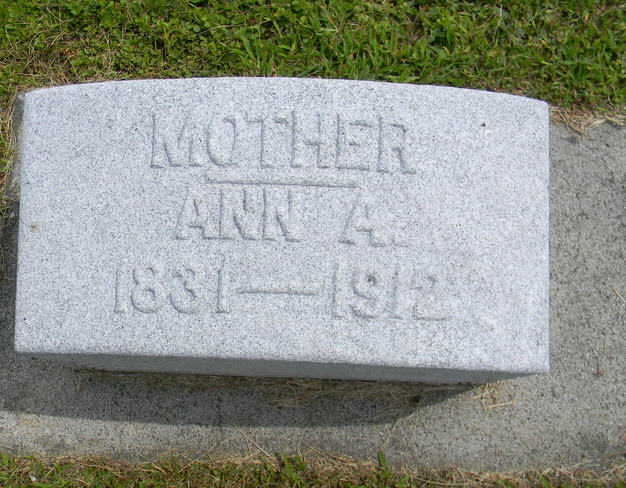 Anna F. Hunt married Devere Vining Houghton, son of Stephen Houghton and Emily Ann Benson, in Dec 25, 1895 at Manchester, VT, USA, age 26, a miller. Grace Anna Houghton married Horace William Alexander in Jan 10, 1917 at Londonderry, VT, USA, age 19. Clarabelle F. Ball married Edwin Augustus Houghton, son of Dan Alonzo Houghton and Emily Bemis, in Oct 30, 1883 at Rockingham, VT, USA, he age 27. Elwin Rufus Houghton married Ellen Lizzie Bennett in May 3, 1890 at Woodstock, VT, USA, age 23. Elwin Rufus Houghton married Virginia B. Hussey in Feb 1, 1923 at Woodstock, VT, USA, he age 55, 2nd mar. Ellen Lizzie Bennett married Elwin Rufus Houghton, son of Henry Horace Houghton and Clarinda Martha Washburn, in May 3, 1890 at Woodstock, VT, USA, age 23.